Don't miss out a special deal prepared by U.S. Converse! Take an extra 25% off Clearance styles. The offer is valid online only. 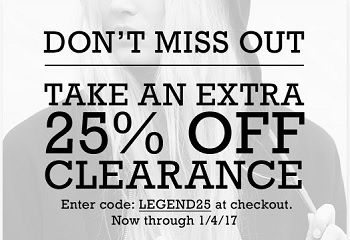 You can receive the offer by entering the online promotion code LEGEND25 at checkout. Source of the information is Converse. The offer is valid until January 4, 2017. For more details visit U.S. Converse online.